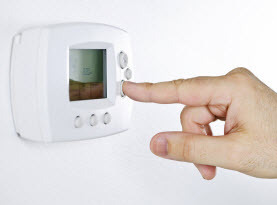 Countless commercial businesses and residential homes in Massachusetts have come to rely upon Ambient Heating & Air Conditioning for an abundance of HVAC system services. We are family owned and operated company since 2003 and are fully insured and licensed to operate. Our certified technicians have advanced training and experience that makes them top in their field. When your home or business in need of an air conditioning replacement and/or installation, you want to know that you are getting the best air conditioning unit right for your building. And you to be sure skilled professionals are installing the appliance with superior efficiency. For that Ambient Heating & Air Conditioning is the company you need. When your current air conditioning unit has reached the end of its years, it can be quite challenging to find a replacement unit that fits your checklist. Commercial buildings HVAC systems range from simplistic to complex and both residential homes and commercial buildings need to air conditioning units that are designed to service the building appropriately. 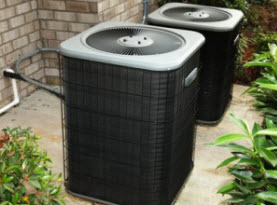 With the appropriate size unit, the air conditioner also needs to smoothly and sufficiently keep the home or business comfortable during warm and/or humid days. Next to that, most folks desire to have an energy efficient air conditioning unit that cuts the power usage, reducing utility bills and wasted energy. And finally, a common attribute is affordability; the unit needs to fit the budget. Ambient Heating & Air Conditioning has the expertise to assist you in purchasing the right air conditioning unit for your commercial business or residential home when you find your air conditioner is in need of replacement. Commercial businesses could potentially have a challenging design for the HVAC system, and when it comes time to install your replacement air conditioner, knowing the designs and ingenuity of each commercial businesses is our business. Ambient Heating & Air Conditioning professionals have expertise, experience and training to properly and sufficiently replace and install your Massachusetts’ commercial buildings air conditioning unit. Residential homes in Massachusetts can feel an overwhelming burden when their air conditioning unit needs to be replaced. With HVAC systems, size does matter when replacing the air conditioner but finding the appropriate size can be confusing. At Ambient Heating & Air Conditioning our professionals can help you understand the best size for your home. Along with the most optimal size, our trained experts can help you decide on the most energy efficient and superior performance to keep you and your loved ones cool and comfortable during the warm summer months. 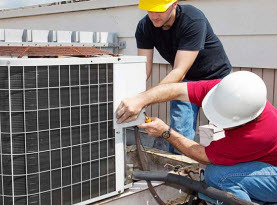 After we find the right air conditioner replacement, our specialists have the exclusive equipment, tools and products to get the job done right the first time. We also have exceptional workmanship and talents to give our valued customers the best air conditioner installation services in Massachusetts. 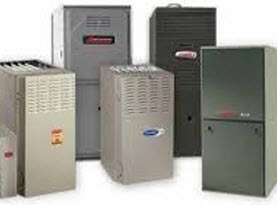 Ambient Heating & Air Conditioning gives each and every one of our appreciated customers premium HVAC services. Whether you have a commercial business or a residential homeowner in Massachusetts, you will want to keep our page booked and to get in touch with us faster. Keep our contact information stored on your phone for convenience. Call us today to schedule your air conditioning unit replacement and installation!